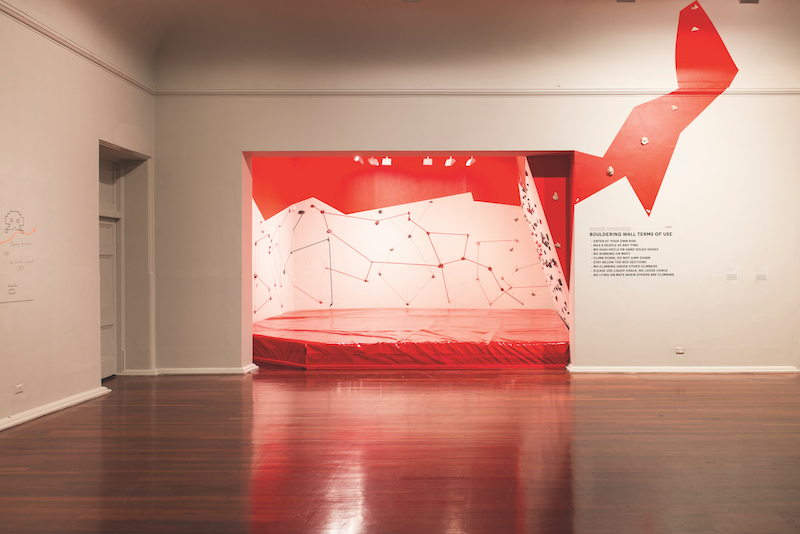 ESTABLISHED IN 1989, the Perth Institute of Contemporary Arts (PICA) is one of Australia’s leading centres for the development and presentation of contemporary art. Housed in a large and striking heritage building in the heart of Perth, the gallery is a hub for people wishing to experience heavy-hitting Australian and international visual, performance and interdisciplinary art. PICA is both a producing and presenting institution that runs a year-round program of changing exhibitions; seasons in contemporary dance, theatre and performance; artistic residencies; and interdisciplinary projects. The exhibition space itself is one of the largest of any Australian public gallery, and has become known for the leading role it plays in the presentation of significant new work. The gallery’s key aim is to promote, support and present contemporary arts and to stimulate discussion around the arts and broader cultural issues. In many aspects of its operations, PICA might be understood as an incubator: providing resources, mentoring and support for both emerging and mature artists while promoting new and emerging ideas, forms and practices to the broader community. Ongoing support is provided to emerging artists through its annualHatched: National Graduate Show, $40,000 Dr Harold Schenberg Art Fellowship, and studio residency program. Perth Institute of Contemporary Arts presents work by Cassils.